In ancient Rome, the Forum was the place where people could meet for any social occasion. It was an open space surrounded by architectural buildings. Besides, in ancient Rome there were some beautiful parks, like the one owned by Pliny the Younger in Tuscany, a private venue where guests were invited to take part in official celebrations. 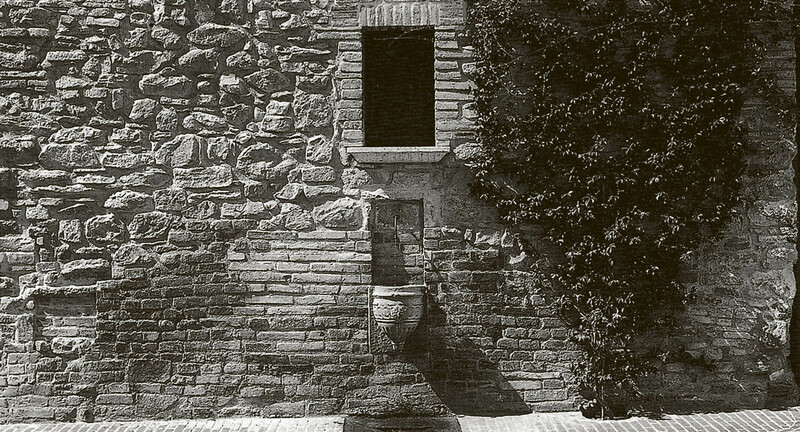 Pliny’s villa was also brimming with architecture and it was surrounded by nature. The Forum of the Arts combines these two ancient models of beauty. 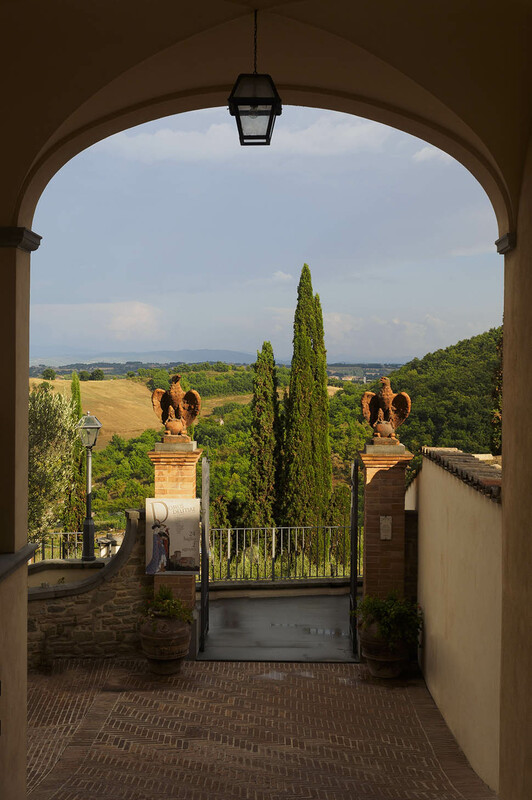 Since when it was designed back in 2001, all of its elements were to be placed around the Theatre Cucinelli, a newly-built building in the Renaissance style, hosting plays, concerts and ballet shows that mark the passing of time in the hamlet. Opposite the theatre, there is an oval space called Amphitheatre, which hosts music festivals and shows during the summer. Beside it, there is a terraced garden called the Garden of Philosophers, devoted to meditation and nature contemplation. 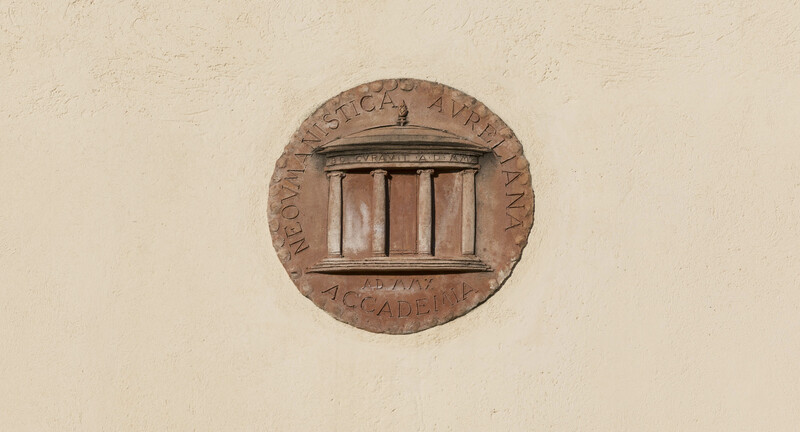 Finally, the Aurelian Neohumanistic Academy is the area devoted to meetings and conviviality, with a library containing classic and modern books in different languages on art, literature, history, spirituality and philosophy. 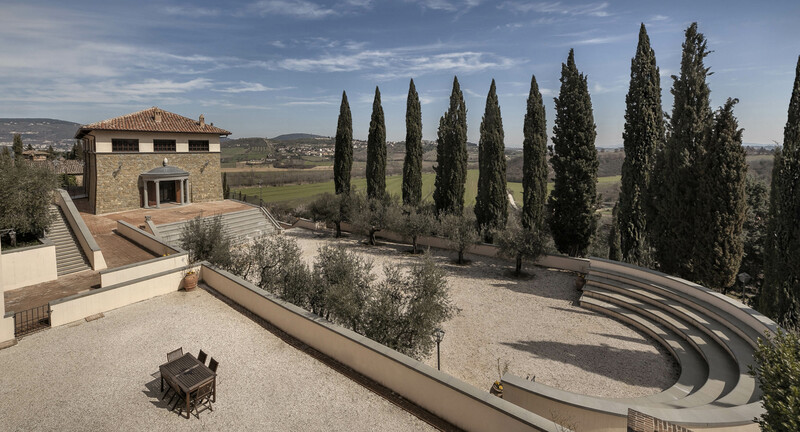 The different areas are linked to one another by some green lawns, a pergola, fountains, hedges of rosemary, cypress trees and thriving rose gardens; the whole area overlooks an extraordinarily impressive valley. The spirituality of this place is unescapable and you can perceive it as soon as you enter through the exquisite gate guarded by two stern eagles, which also look moved by the lively spirit. 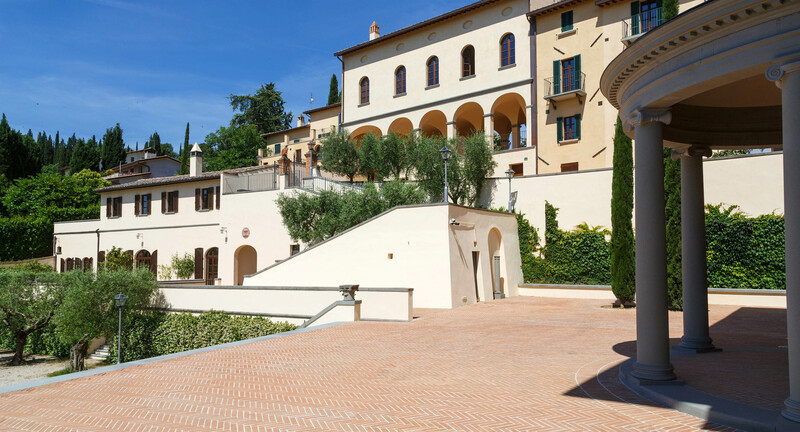 However, today the Forum has expanded even further and it also encompasses a new building in the classical style, which faces the centre of the village and hosts the School of Arts and Crafts; the Forum also includes the castle itself, which has become an extension of the school. The fortified building overlooks the circular Piazza della Pace, decorated with olive trees and increasingly often used as a venue for concerts or artistic performances. 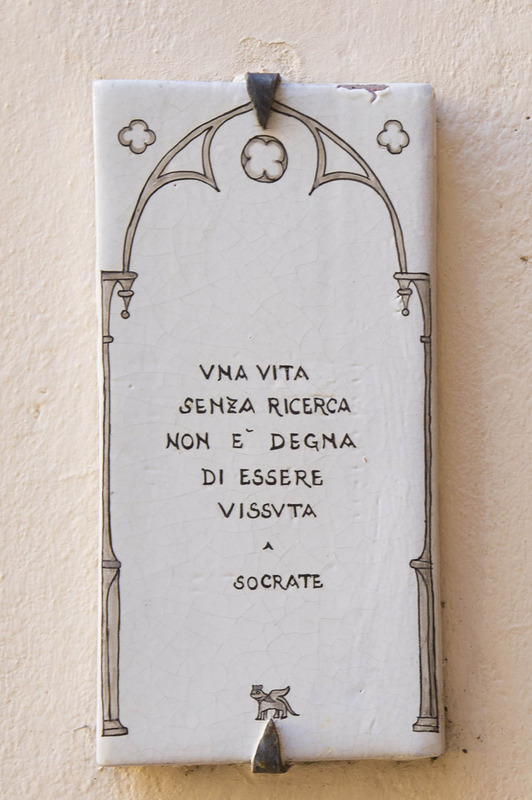 Today the Forum of the Arts basically includes the whole of Solomeo, a humanistic hamlet where the aspirations of each noble soul will find a welcoming home.